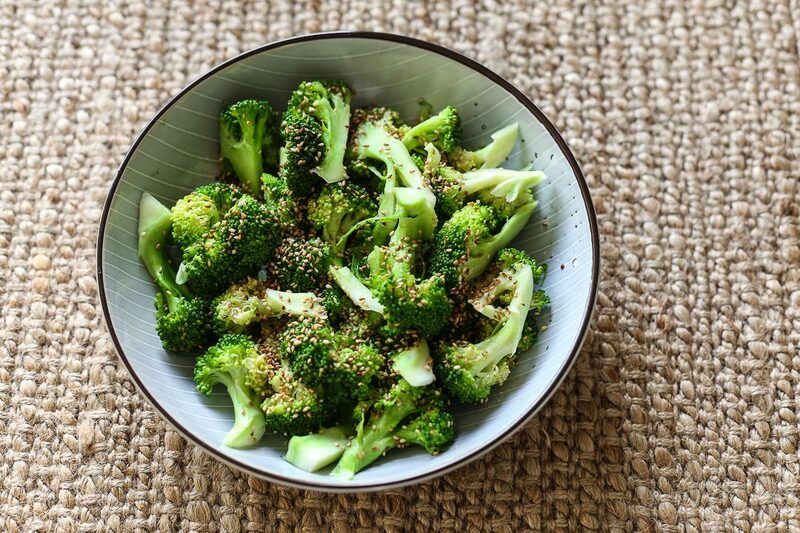 Cook broccoli in boiling water to your liking, I like mine crunchy so I cook them around 4-5 minutes. Remove from boiling water then rinse in running cold water to stop it from cooking. In a pan add sesame oil and garlic, cook in low heat until garlic sizzles. Add the broccoli and sesame seeds, toss until broccoli is heated through. Remove from pan place in serving platter then drizzle soy sauce on top. Serve.